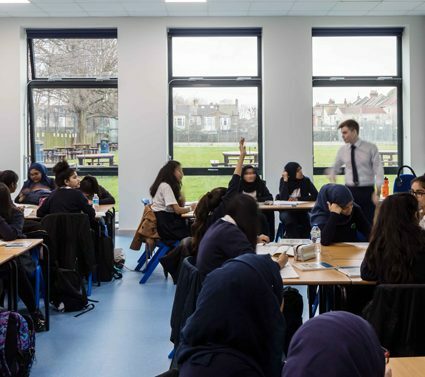 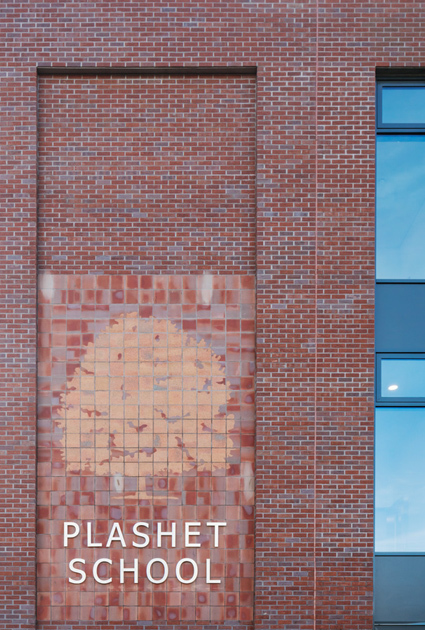 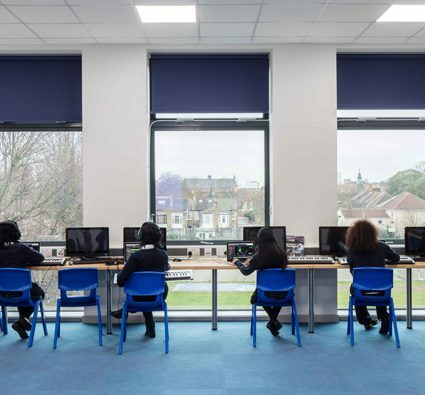 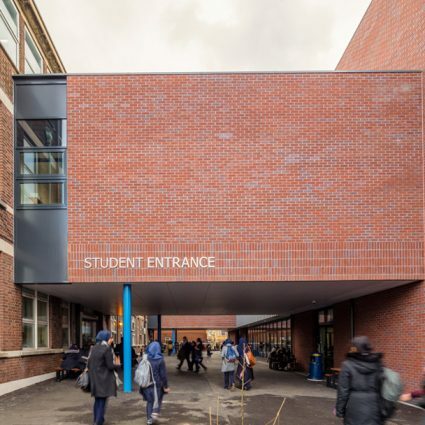 In line with London Borough of Newham’s expansion programme, Plashet Girls’ School has expanded from a nine to a ten-form entry secondary school. 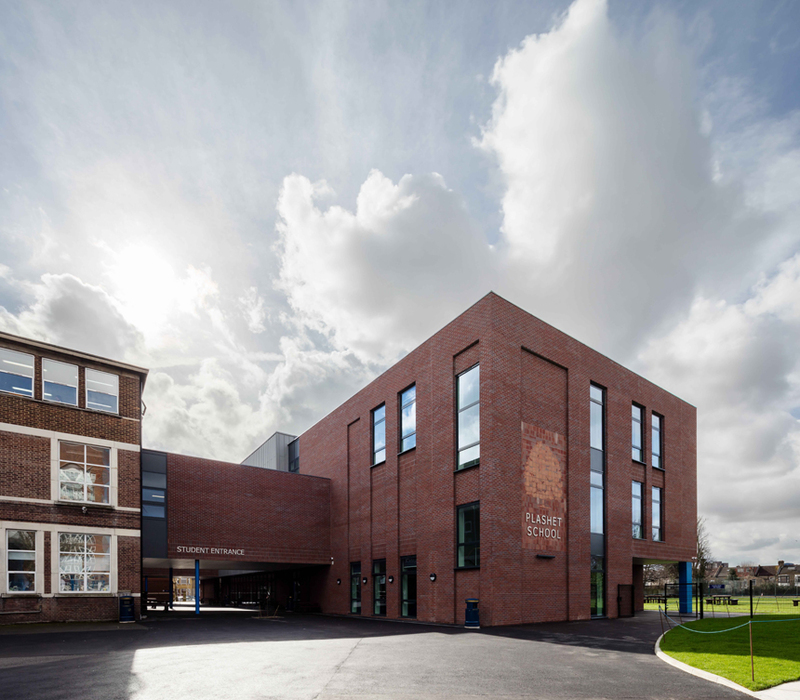 In order to accommodate the increasing numbers, a new, three-storey extension connects to the existing school via two link bridges, providing a dining hall, a gym hall and expressive arts teaching facilities. 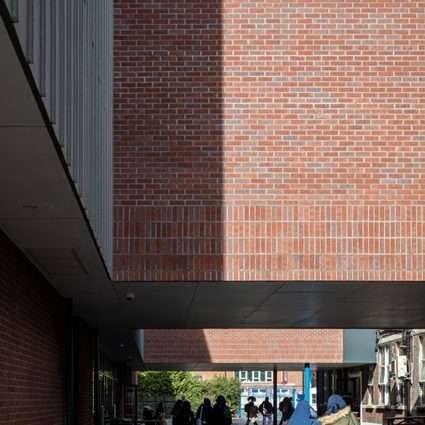 The new extension helps transform what had been a fragmented external space into an accessible and secure student plaza. 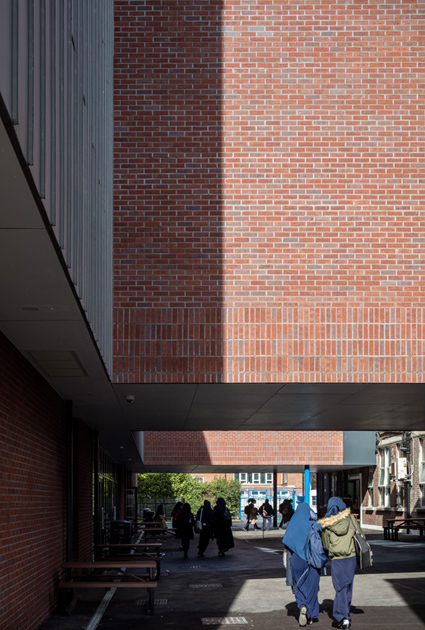 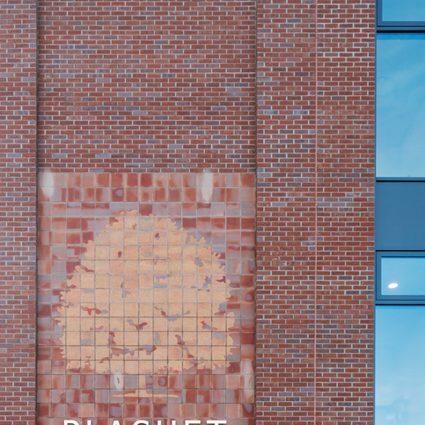 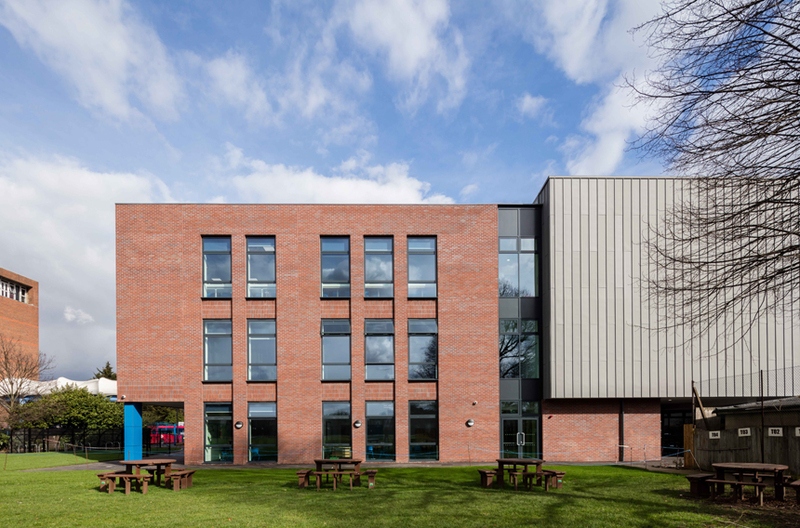 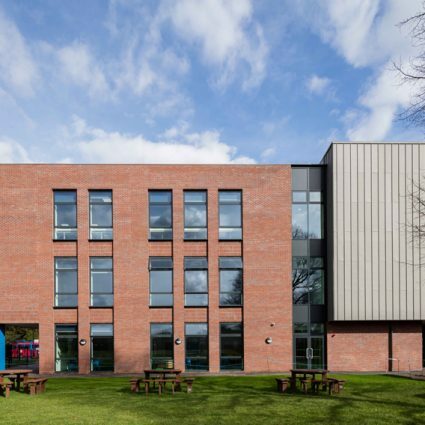 The extension is clad in a red wirecut brick to complement the tones of the existing building and the school logo etched into the façade facing Plashet Grove. 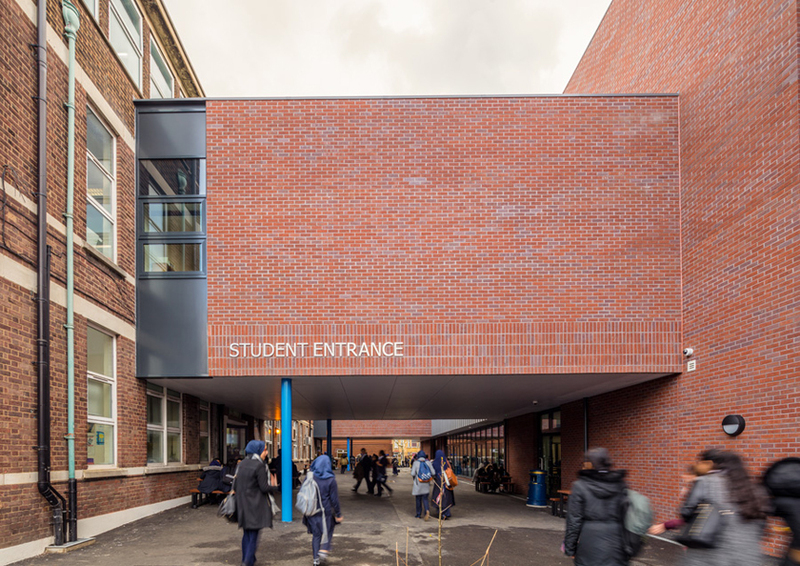 The first floor hall is clad in a vertical standing seam zinc, chosen for its durability and contemporary character. 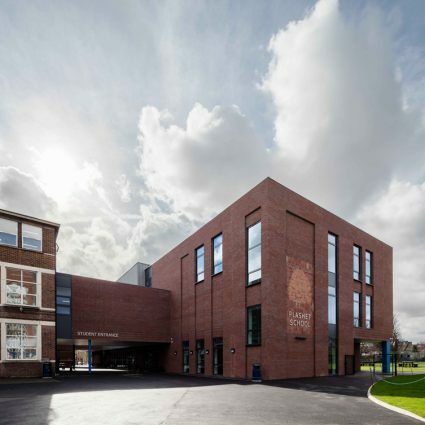 "I am particularly honoured that the school can now offer superb facilities for drama, music and PE."